Paul Heimbecker, MD, FACOG, is committed to providing personalized patient care for women of all ages living in and around Sanford, North Carolina. As a board-certified OB/GYN and female urology specialist, Dr. Heimbecker offers a wide variety of advanced medical procedures at Advanced Care for Women. Dr. Heimbecker began his path toward medicine at Florida Atlantic University, where he earned a bachelor’s degree in chemistry. He went on to earn his medical degree at St. Louis University School of Medicine before completing his residency in obstetrics and gynecology at St. John’s Mercy Medical Center in St. Louis. After his extensive training in St. Louis, Dr. Heimbecker taught vaginal surgery at the University of South Florida in Tampa, while maintaining a private practice in North Carolina. He was employed by the university to be a gynecologist-attending physcian teaching resident physicians vaginal surgery. Meanwhile, he was also servicing within the gynecology department at Tampa General Hospital for about one of every 6 weeks. He continued his teaching and service to patients in Tampa for over 3 years. Additionally, Dr. Heimbecker trained in cutting-edge techniques and procedures, such as minimally invasive gynecologic surgeries and MonaLisa Touch® nonsurgical vaginal wellness treatments. 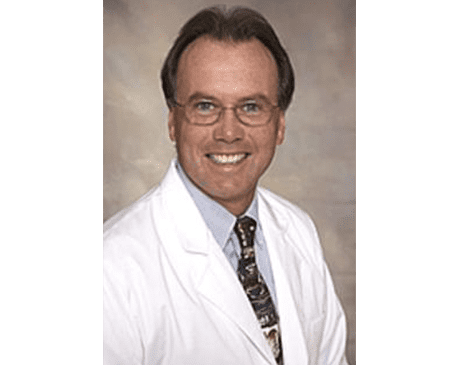 Over his 25-plus years of providing excellent care to women of Sanford, North Carolina, Dr. Heimbecker has forged close ties to the community. He’s been happily married for over 40 years and loves spending time with his family of three children and eight grandkids.